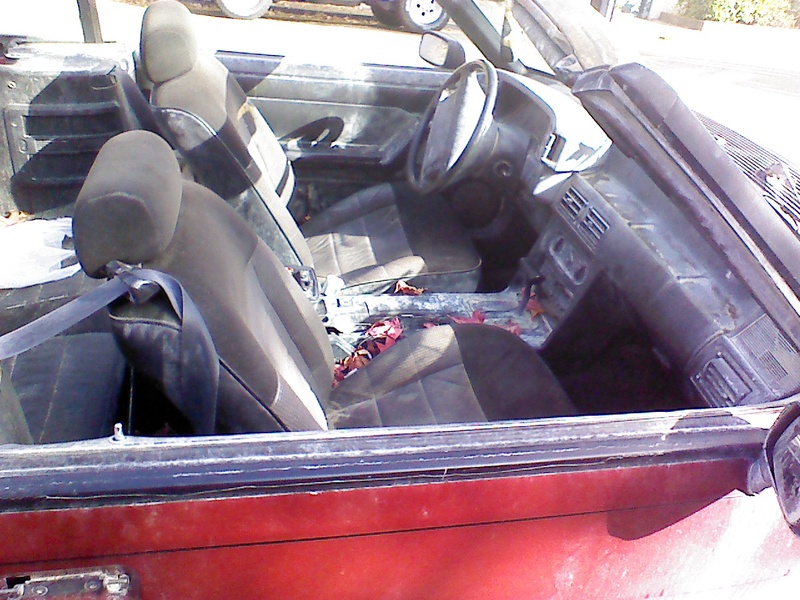 Everyone has a dream of owning their own red convertible. 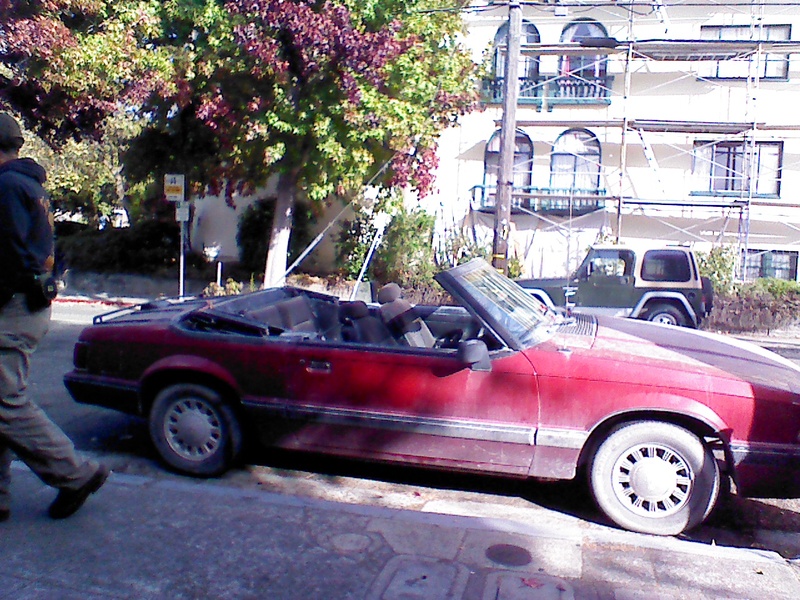 However the red convertible we saw parked on Euclid and Ridge looked like it just drove out of one. 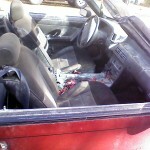 It was a makeshift red convertible plastered with dirt inside and out. There was even dirt all over the seats, which means the drivers and passengers were also covered with dirt as they were driving back from some desert. But which desert exactly? Given the time of year, it most likely Black Rock Desert in Nevada, the desert of Burning Man. 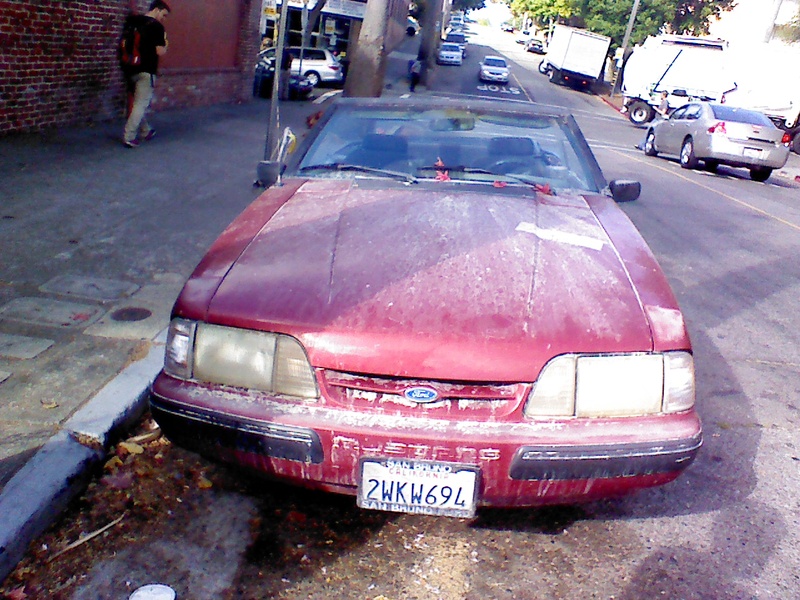 We encountered the spectacularly dirty car on a stroll one Sunday morning. 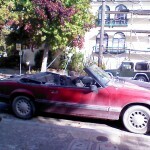 However, the red convertible was reported as gone later that evening. 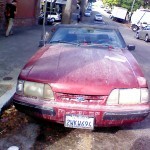 Maybe the owner took it to get washed, or to abandon it in some field outside of town. Maybe the driver and passengers were making a pitstop to get muffins and cappucinos at Brewed Awakening before ditching Berkeley for another crazy town elsewhere. We can only speculate, knowing that that was not the post-graduation high-roller car of our dreams.